Sir Nicholas George Winton MBE – We Salute You! 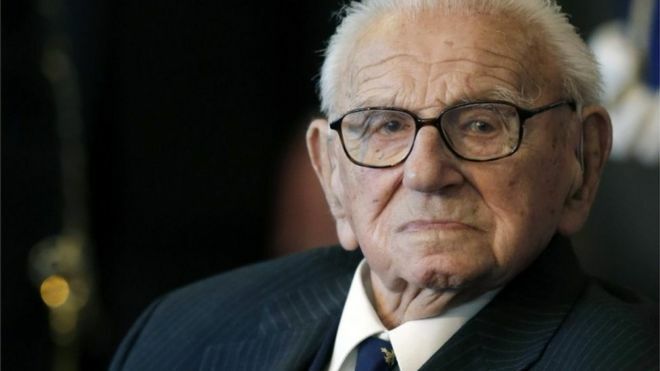 A memorial service is being held for Sir Nicholas Winton, who rescued hundreds of children from the Holocaust in the months before World War Two. Some 400 people are attending event at London’s Guildhall, including 28 of those he saved and Czech, Slovak and UK government representatives. Sir Nicholas organised the “Kindertransport” in which 669 mostly Jewish children came to Britain by train from Czechoslovakia in 1939.